Two weeks ago, I related the urban legend of how Lieutenant – later Rear Admiral – Lucius Johnson, Medical Corps, U. S. Navy, introduced the rum-based daiquiri to Washington DC society in the late 19th century. I want now to briefly review the history of rum in the Navy. While Admiral Vernon’s innovation was widely adopted, Naval surgeons fretted and Admirals thundered about the “crime of drunkenness” throughout the 18th century. While floggings and other punishments were instituted in attempts to quell the widespread problem, another reforming Admiral, Lord Keith wrote in 1812, “…it will be impossible to prevent [it] so long as the present excessive quantity of spirits is issued in the Royal Navy; for men seem to have no other idea of the use of spirits than as they afford them the means of running into excess and indulging in intoxication”(2) According to Lloyd and Christopher, it was only with the changing mores incident to the Victorian era that abuse of spirits decreased. 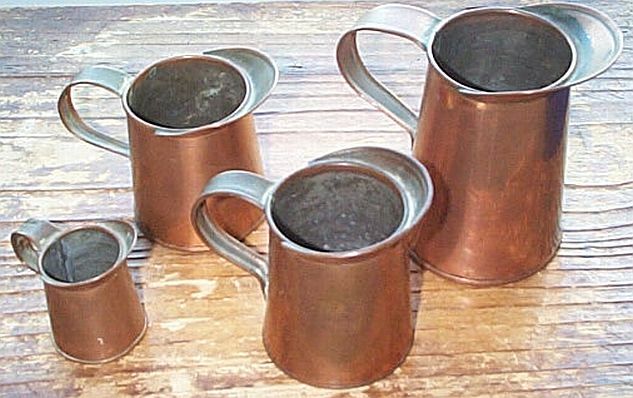 Cocoa became the more popular “pick-me-up” in the Royal Navy. By the 1820s, the nation began to develop a predominating opinion toward temperance. The House of Representatives reflected this emerging sentiment by adopting a petition to encourage the Secretary of the navy to assess the effects of alcohol upon the service. John Branch (served as Secretary of the Navy 1829-1831 tasked Surgeons Heerman, Barton and Harris the task of evaluating whether the grog ration was a “naval necessity”. Presumably reflecting informed medical opinion of the day, all three believed the grog rations “was unnecessary and harmful to morals and health”, and “subversive to discipline”. These experts recommended to the House of Representatives that sailors be encouraged to commute their spirit ration by being paid a generous sum of money as a means voluntarily reducing alcohol consumption. (4) Branch’s successor Levi Woodbury instituted this reform in 1831, setting the commutation rate at 6 cents per day. In succeeding decades, despite multiple pressures for reform, the grog ration was not officially ended until 1862, by an Act of Congress passed 14 July. Personal stores of alcohol, the officers’ wine mess and alcohol retained for medicinal purposes and under control of the Surgeon were still permitted. It was not until 1 July 1914 that Secretary of the Navy Josephus Daniels’s General Order 99 prohibited “the use or introduction for drinking purposes of alcoholic liquors on board any naval vessel, or within any navy yard or station”. Medicinal alcohol is still retained. Your author, in destroyer service during the Vietnam conflict, had occasion to break out the medicinal brandy to reward a crew for rescuing a man overboard in hazardous conditions. 1. Lloyd, Christopher, and Jack L S Coulter, “Medicine and the Navy: 1200 – 1900 Vol III”, London, E & S Livingstone, 1961, p 88ff. 3. http://www.history.navy.mil/faqs/faq78-1.htm#anchor94512, paragraph “Grog”, accessed 23 July 2012. 4. Langley, Harold D., “A History of Medicine in the Early U. S. Navy”, Baltimore, The Johns Hopkins Press, 1995. pp 294-295. Capt Tom, Thanks again for another great examination of our fascinating naval history, so often misinterpreted by others.